In a crazy move within the NHLPA, Executive Director Paul Kelly was ousted yesterday. It is said that the Executive Board unanimously voted for his expulsion from the Executive Director position, and his release was effective immediately. The board members commented that they felt he was not the right man for the job, and the NHLPA needed to move in a different direction. But what direction is that? Kelly was known for being proactive and forward thinking, trying to get things accomplished that were in the best interests of hockey as a whole. He believes that if hockey the sport were successful, then both ownership and the players would reap the benefits. Alan Eagleson (1967-1991) – Faced criminal charges for defrauding the players. Ultimately spent 18 months in jail and was fined 1,000,000. Bob Goodenow (1991-2005) – Presided over three, yes, three work stoppages that essentially diminished the prestige and footprint of the NHL in North America. Popularity dropped so much during his tenure that bowling and LPGA would crush the NHL in TV viewership. He did end up leading the NHLPA to the current Collective Bargaining Agreement, but only after the players were locked out for the entire season. And as a side note, the owners got pretty much everything they had asked for from the beginning, essentially showing that the last lockout was unnecessary. Ted Saskin - (2005–2007) – Busted for viewing player emails (illegally accessing, commonly referred to as ‘spying’) and was fired for his transgression. Ethical, eh? Paul Kelly (2007–2009) – Worked closely with the NHL owners over current issues, and strove to bring both sides closer together. Presided over an NHLPA during a time of greatest viewership and ratings in decades, along with peak historical attendence numbers. Let us look at the realities. In this day and age, player unions and team ownership increasingly have to work together in order to have the best possible product. If the NFL hasn’t shown the benefits from a solid partnership, no one can. As a side note, it will be interesting to see how the new labor chief for the NFLPA DeMaurice Smith handles the next negotiation. Gene Upshaw worked really well with the NFL and that level of success should be emulated. Any labor strife in the NHL is just going to hurt all involved, including the fans. Not to mention, another strike/lockout will essentially be a ‘planet killer’ (anyone notice the success and the traction that the KHL is starting to have??). The reasoning for Paul Kelly’s firing is incredibly vague. As Buzz Hargrove, one of the driving forces behind the Kelly firing, and current interim NHLPA Ombudsman (Yup, I had to look this one up – ‘a person who acts as a trusted intermediary between an organization and some internal or external constituency while representing the broad scope of constituent interests’), he commented that ‘there was no specific reasoning’ behind Kelly’s release. He said that the union didn’t believe that Paul Kelly was the right man to lead the next labor negotiations in 2011. The background is that Buzz Hargrove was the head of the Canadian Autoworkers union. Wait, the Autoworkers union? Gosh, we know how that whole thing worked out. “They didn't want to wait until it was too late," Hargrove said. "If we waited until next year, you're almost on the doorstep of the opening of negotiations and they didn't want then to be caught with someone they didn't really think was able to unify and pull the group together and get them all working together. 'Trust and confidence' were the words they used and I think that's used appropriately." NHL deputy commissioner, Bill Daly released the following statement on Monday afternoon. "We do not believe it is appropriate for the League to comment extensively on the news coming out of the players' Executive Board meeting in Chicago over the last 24 hours. It is an internal Union matter, and its not our role or place to be passing judgment, especially when we don't know all the facts. We obviously have a longstanding relationship with Ian Penny and we are committed to working with him, both during this interim period and beyond, for the betterment of the game for the benefit of all of the game's stakeholders, including most importantly, for our fans. As for Paul Kelly, we wish him the very best in whatever challenge he next chooses to pursue. He is a very talented professional who was totally committed to representing the players' interests for the purpose of, and in the context of, growing and promoting a sport that he loved." In the end, this situation is seriously disheartening. It was clearly a power play by people behind the scenes, including former Philadelphia Flyer Eric Lindros, who was forced to leave the NHLPA Ombudsman position because of differences with Paul Kelly. Nothing personal there. Also included was a labor lawyer named Ron Pink. He lost in the process to fill the position that was ultimately given to Kelly. No, that doesn’t exactly pass the smell test either. We as fans need to make ourselves be heard as well, and make it clear that we want the NHL and NHLPA to work together to keep our beloved sport on the rise. Where the NHLPA goes from here is really important. If they actually go out and find a new leader who is proactive, strong, and visionary, the NHL can get a new CBA and have further heightened success. The momentum that the NHL has built in the past years is paramount, and cannot be wasted by incapable leadership. The players themselves should stand en mass and make sure they are all a part of the upcoming process, and not stand for such underhanded dealings. 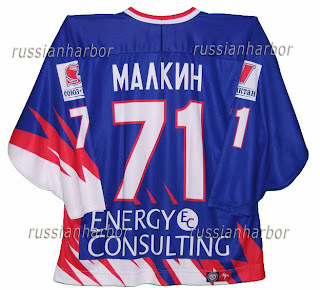 But if the NHLPA blindly follows the leadership style and negotiating tenets of a Buzz Hargrove, we in Pittsburgh will be forced to buy Metallurg Magnitogorsk Crosby and Malkin jerseys in the coming years. And that thought of this should make us all sick.